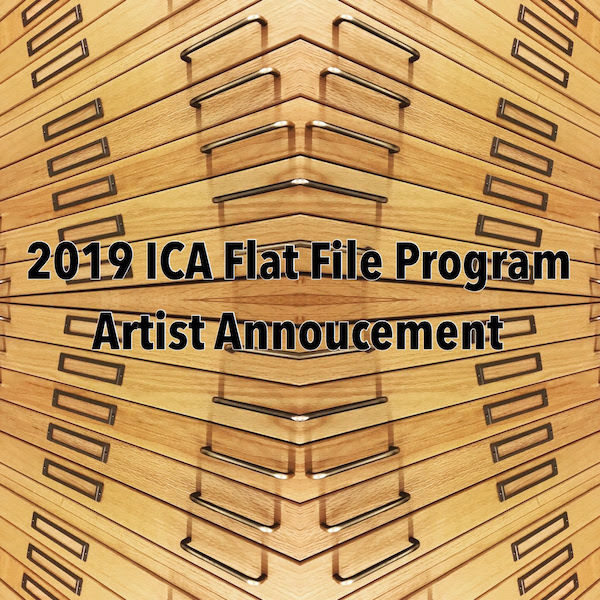 ICA Baltimore is excited to announce the artists participating in the 2019 ICA Flat File Program! Artworks were chosen from over five hundred entries, and include work in a variety of media, from drawing and painting to photography, cloth and plastic; from artists from the Baltimore-DC area as well as artists from recent ICA exhibitions. We will kick off the program with an exhibition with a brunch opening on February 10th, 12-4pm at the ICA gallery, and the show will remain up until February 24. 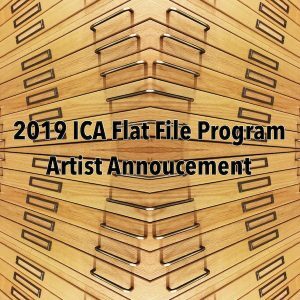 Artworks will then move into the flat files in the back of the gallery and will be available for viewing and purchase until the end of the year. All items in the flat file are priced under $500, and will be available on our website, for purchase and shipping.